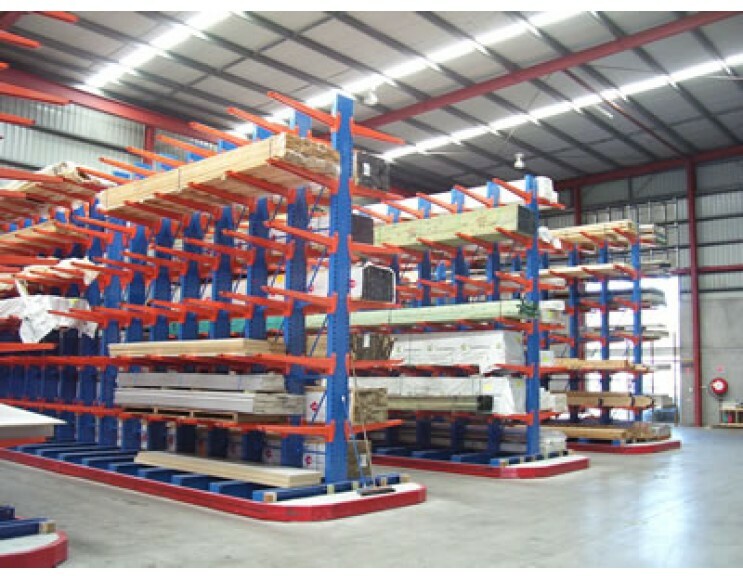 By utilising BHD’s Cantilever Racking System, Mitre 10 Kincumber now has a first-rate warehouse to service their trade business, which allows for flexible changes, and potential for growth. Kincumber Mitre 10 based on the NSW Central Coast approached BHD Storage Solutions several years ago to provide a timber storage solution at their Kincumber site. Timber was stored at a location down the road from the main retail premises, providing supply for trade customers. The timber was currently being block stacked, and so cost additional time in handling, particularly when the stock at the bottom of the stack was required. Plus, the more handling required, the greater the risk of damage became. 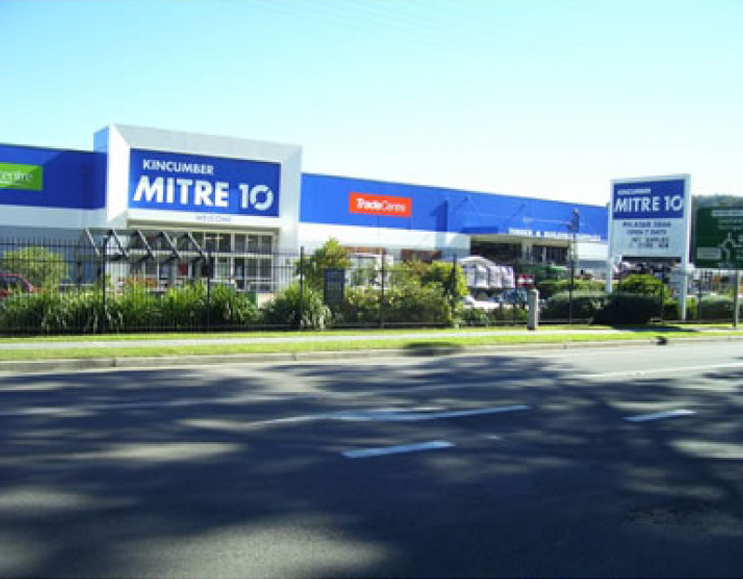 Kincumber Mitre 10 had a vision to grow this part of their business and so set about securing the entire building they occupied. This meant they’d be able to increase the quantity of materials that could be stocked, and make them readily accessible to service customer needs in a timely manner. 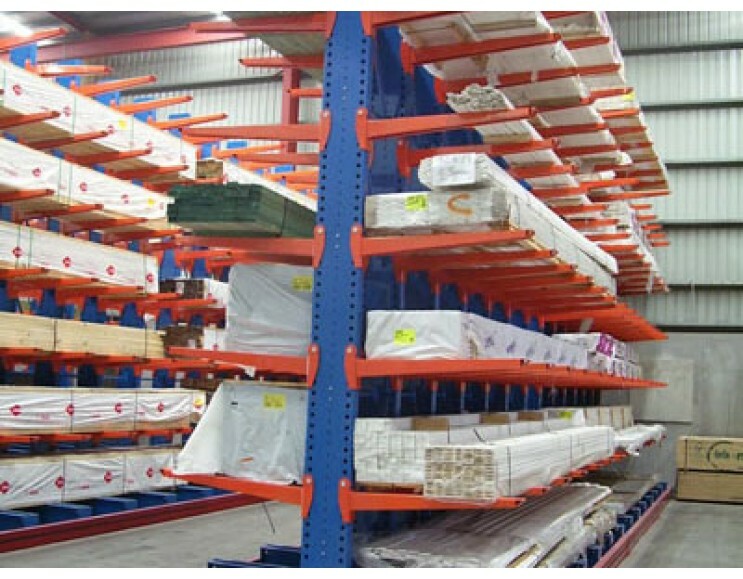 A Cantilever Racking System was designed by BHD Storage Solutions, which offered best use of building elevation and floor area. Narrow aisles were accommodated and complemented by the Combilift side loader on site. In addition, fork guide rails were placed around the racking for smoother travel of the Combilift, and to protect the racking system from impact. The storage solution comprised both single-sided and double-sided racks, enabling timber to be stored on the base and six other levels, providing adequate storage space for current timber storage needs. Kincumber Mitre 10 now had individual and ready access to each pack of timber when required. Steve McCumstie, the Director at Kincumber Mitre 10, was impressed with the finished Cantilever System, recognising how it offered him the storage and handling capability he had envisaged several years earlier. Kincumber Mitre 10 was also impressed by the ability to quickly adjust arm levels to accommodate changing pack sizes, and the access to BHD’s supplies of additional and replacement arms when required. Kincumber Mitre 10 now has a first rate warehouse for servicing of trade businesses, one they are looking to grow even further with assistance provided by BHD Storage Solutions.